Voicing the heroic Lion-O, leader of the ThunderCats, and the cowardly Jackalman is Larry Kenney. A versatile Voice Actor, Larry Kenney also lent to his vocal talents to several other Rankin-Bass projects includingSilverhawks, Tiger Sharks and Karate Kat. For over three decades, he has also provided the voices for breakfast cereal mascots including Count Chocula! 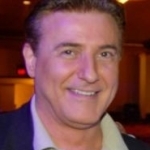 While mainly known for his voice acting, Larry also has a keen interest in music and began his career as a disc jockey at the age of fifteen, in 1976 and 1978 he was named “Country Music Air Personality of the Year” by Billboard Magazine and remains actively involved in radio to this day. Larry Kenney is still actively involved with Thundercats, regularly interacting with fans of the show and appearing as Lion-O in shows such as Family Guy and Robot Chicken. He has even filled the shoes of the late Earl Hammond and voiced Lion-O’s own archenemy, Mumm-Ra in an interactive game on the DVD release of the show. The menacing tones of Earl Hammond provide the terrifying voice belonging to the Thundercats’ archenemy, the evil Mumm-Ra, the ever living. Hammond also took on the role of Lion-O’s wise old mentor Jaga, a character who couldn’t be more different than Mumm-Ra. A Buffalo native, Hammond was born Irwin Hamburger but changed his name in the early 1940s as he began his acting career. One of the reasons Hammond was so successful as a Voice Actor was his ability to recreate accents and dialects. Despite his extensive voice work, Earl Hammond had a successful run on the popular American soap Days of Our Lives playing a Lawyer, and, more recently, he provided the voice of the title character in the 1999 blockbuster movie The Mummy, a character with similarities to Mumm-Ra himself! Interestingly, Hammond also got the chance to play another big cartoon villain when he took on the role of Transformers villain Megatron in a series of audio books. Earl Hammond passed away in 2002. Robert McFadden was required to provide a lot of the comic relief in ThunderCats as Snarf. He also led the Mutants as their reptilian leader, S-S-Slithe. McFadden was born in East Liverpool, Ohio in 1923, and got his first break singing and doing impersonations in a weekly talent show while stationed in Puerto Rico with the Navy during World War II. 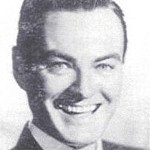 After meeting his wife while working together on the stage, they moved to Queens in the 1960s and McFadden became involved in cartoon and advertising voice over work. His versatile talent allowed him to make hundreds of thousands of dollars selling his voice to advertise products for Ban deodorant, Campbell’s soup, Ford, Frankenberry cereal, Geritol, Mountain Dew and Pepto-Bismol. Once he was paid $12,000 to make swishing sounds to imitate a jet airplane. Bob McFadden’s most memorable commercial was the voice of a parrot for Wisk; He said, “Ring around the collar” and “Nice shirt”. This commercial would be played over a 25-year time span. 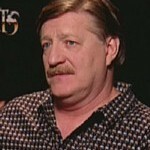 In 1982, TV Guide called Mr. McFadden “one of the elite of TV commercial voice-overs.” It was actually quite late in his career when McFadden came to work on ThunderCats in 1985, but he succeeded in creating voices for his characters with their own unique traits and catchphrases that would remain with audiences for years to come. Robert McFadden passed away in January 2000. 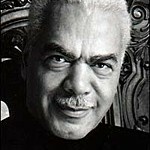 Earle Hyman provides the voice of the ThunderCats’ resident mechanic Panthro. Most Americans know Hyman as Russell Huxtable, Bill Cosby’s father on The Cosby Show, a role that earned him an Emmy nomination. Early in his career, Hyman taught himself Norwegian so that he could play the role of Ibsen, the Norwegian playwright, on the stage. Hyman’s main area of work has been on the stage, he has appeared in many productions both in America and abroad, earning a Tony Award nomination in 1980 for his performance in The Lady from Dubuque. For many years Hyman has divided his work between America and Norway, where he received the GRY Award in 1965, as the year’s Best Actor for Emperor Jones, and a St. Olav Medal in 1988, for performances on the Norwegian stage. Hyman also starred in a 1994 sitcom, Seier’n er var. Lynne Lipton took on an important role in the ThunderCats series, as well as voicing the show’s most prominent female character in the show, Cheetara, she also had to provide most of the voices for female characters in the show during the first season. 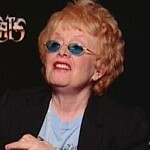 Lynne reprised the role of Cheetara when she joined Larry Kenney on the show Family Guy as part of a ThunderCats sketch. In addition to this, Lynne has done voiceover work for several commercials and TV networks. 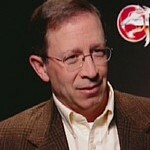 Doug Preis joined the regular ThunderCats cast in Season Two when he took on the role of the wise Lynx-O, as well as the sinister Lunatak Alluro. Outside of his work on ThunderCats, Doug Preis is probably best known for providing several voices on the popular Disney show, Doug. Peter Newman voices the heroic master of mind power, Tygra, the young Wilykat, Bengali and the ruthless Monkian. He also provided voices for characters in another Rankin-Bass cartoon, Silverhawks, and played The Boss in the animated feature Felix the Cat: The Movie, where he was credited as Peter Neuman. In addition to this, Peter has done voiceovers for a variety of TV stations and commercials. Gerrianne Raphael joined the regular cast of ThunderCats in the second season of the show, coming in to add to the female voice talent working on the show and voice the newly introduced Thundercat, Pumyra, as well as the evil Chilla. 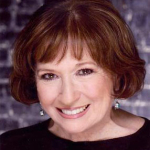 Raphael has worked extensively in the theatre, her works include The Man of La Mancha at the American National Theatre Academy and West Side Story during a United States tour, and she has also appeared in CBS soap As the World Turns. She also has a clothing design displayed among the permanent collection of the Metropolitan Museum of Art.